On April 18, 2017 the Federal Trade Commission (FTC) held a workshop on hearing health and technology. The event consisted of several panels that included 1-2 FTC moderators and 4-5 professionals in multiple disciplines related to hearing healthcare. While we believe the discussion lacked representation from current private practice Audiologists (which we’ll touch on more below), the discussion as a whole helped illuminate the current and trending state of hearing loss, hearing aids, hearing technology, and hearing health services. Based on this conversation, current data trends, and several thoughts of our own, we’d like to present you with The State of Hearing Healthcare 2017. Before we dive in, let’s first talk about how to use this report. For the most part, we have used the questions submitted by consumers and hearing professionals, along with the FTC moderators. Many of the responses we give are from the panelists that were present (you can find a full list of them here). We’ve also expanded on the conversation to site studies and data that weren’t provided at the event, and we challenge everyone to use that information for further research. In addition, please note that many of the conversations center around the idea of a new category of hearing aids: over the counter (OTC). If you’re not up to date on that, make sure you read about it first, before jumping into the following sections. Lastly, the most disappointing facet of the FTC event was the fact that not a single practicing (i.e. in an ENT office, or current private practice) audiologist was on any of the panels. 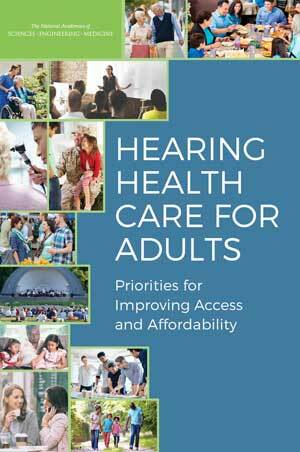 So, this report will include comments from Everyday Hearing’s audiologist on many aspects that weren’t addressed. Data may not be the most exciting aspect of hearing loss, but in order to determine where hearing healthcare should go, we first have to know where we are. What are the key findings from the major studies above? Remove FDA regulation for medical evaluation prior to hearing aid purchase. Implement a new FDA device category for OTC wearable hearing devices. Effective December 7, 2016 the FDA did in fact accomplish step 1 above, for individuals over the age of 18. As of March 21, 2017 the Warren-Grassley Bill for OTC Hearing Aids has been introduced as bipartisan legislation, which is still awaiting House and Senate review (as of writing this). In addition to the above data and recommendations, below you’ll find two quick links that provide the most up to date hearing loss statistics across the U.S.
And here’s an infographic we put together showcasing some of the key statistics. Innovations in hearing technology are moving at a faster pace than ever. 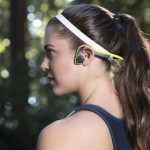 We are in the midst of a wearable revolution, that looks to be moving towards a hearable revolution in favor of the additional medical and biometric information available via the ear. Wireless devices are now predominant when it comes to headphones or hearing aids. And technology has become so accessible that even companies like Apple and Samsung are looking to create devices to better serve people with hearing loss. Consider this for a moment. There are currently 90.1 million Apple users, and 107.7 million android users (69.5 million of which are Samsung). If Apple Air Pods or Samsung Gear IconX could add in hearing aid functions, that’s instant access to over half of the U.S. over night. Samsung’s Gear IconX earbuds didn’t initially receive a lot of attention, but with a few tweaks and added tech, could potentially compete with OTC hearing aids or PSAPs. Combine this data with the looming OTC hearing aid category, and you have to ask: What’s stopping them from dominating the hearing aid market in the near future? If Apple Air Pods or Samsung Gear IconX could add in hearing aid functions, that’s instant access to over half of the U.S. over night. Currently, the answer is not technology, but regulations. At least that’s what the consumer electronics world would have you believe. What are we actually trying to solve with hearing aids? 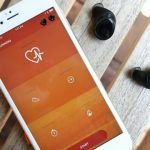 There’s a much larger market for people looking to track their fitness or stream music via wireless earbuds than correct a mild hearing loss. And this is likely the primary reason that smartphone manufacturers that couple earphones with their devices haven’t pushed into this field. They’re not trying to solve the same problems hearing aid manufacturers are…yet. 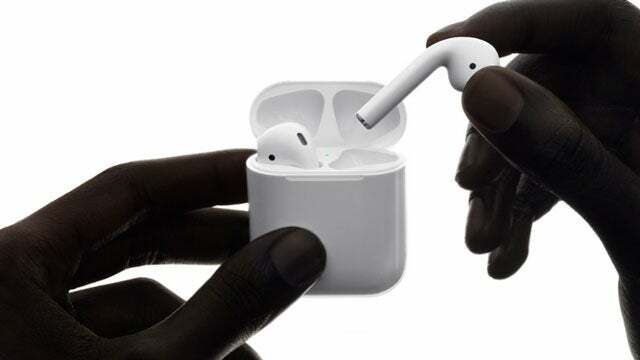 Apple Air Pods haven’t appealed visually to consumers, but their functionality may prove to be a game changer in the medical field. Jan Metzdorff, President of Sonova, informed everyone at the FTC event that they spend over $100 million per year in research and development. Most of which is aimed at improving technology to address very specific hearing loss needs, such as understanding speech in background noise. Between all the major hearing aid manufacturers, you’re (likely) looking at around $1 billion dollars spent annually on research and development. That is A LOT of money. But as Mr. Metzdorff goes on to say, that’s only part of the equation. Unlike reading glasses, which are often compared, when you put hearing aids in your hearing is drastically improved, but it doesn’t return to normal. 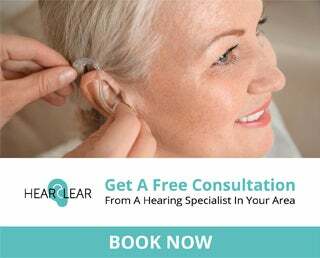 So, the goal of hearing aids becomes to improve the life of the individual with hearing loss, but it’s not a goal that can currently be reached without the help of a licensed hearing professional. Since the U.S. Food and Drug Administration (FDA) regulates hearing aids, let’s take a look at their definition of hearing aids: sound-amplifying devices designed to aid people who have a hearing impairment. To make this even more complicated, there’s typically a third device in discussion when comparing hearables and hearing aids: personal sound amplifiers (PSAPs). 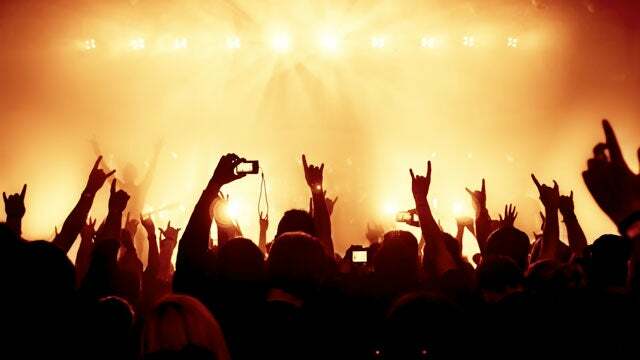 The FDA defines a PSAP as an in-ear device intended for non-hearing-impaired consumers to amplify sounds in the environment for a number of reasons, such as for recreational activities. Dianne J. Van Tasell, Ph.D., of the Bose Corporation, makes the point that wireless PSAPs and wireless hearing aids are really just subsets of hearables. On the surface that sounds like a good classification, but it also sounds a lot like a consumer electronics company trying to deregulate the hearing aid industry in order to supply hearables to consumers as an alternative to hearing aids. If you ask an audiologist, or the FDA, hearing aids and PSAPs are significantly different devices. Not just in terms of end goals, but also in terms of technology. However, Ms. Van Tasell dosen’t agree. According to her, hearing aids and PSAPs can do the same kinds of functions. Below is how Ms. Van Tasell breaks down the similarities and differences. But, if that’s true, and there is no technology gap, then why don’t consumer electronics companies put hearing aid technology into their hearables, apply to the FDA as Class 2 hearing aid device and then just sell the devices at a fraction of the cost of current hearing aids? I’ve personally researched 30 to 40 hearables currently on the market, and none of them are even in the same playing field as advanced hearing aids like the Oticon Opn, Widex Beyond, Phonak Audeo, Signia Pure, Starkey Muse, or ReSound Linx2. Note: There was not a single mention of a specific hearable at the FTC event when alleging that they are virtually identical to hearing aids. And while I’ve spent days researching hearables and PSAPs, if for some reason I’ve missed one that does compare then please leave a comment below and I’ll be sure to look into it. Will new competition lower prices? This is the primary argument from consumer electronics companies. If only the FDA would deregulate the hearing aid industry and allow other players to promote their products to people with hearing loss then all this “new competition” would spark price wars that would ultimately save the consumer lots of money. Mr. Metzdorff, doesn’t agree. He says that new features added to current hearing aids are consumer based, not cost based. What he means is Sonova conducts research and manufactures products aimed at improving life, not improving costs. If costs happen to come down that’s great, but that’s not the main focus. Stavros Basseas, CEO of Sound World Solutions holds a slightly different view. He believes “competition will lead to a better situation globally,” because the current hearing aid market in the U.S. is not scalable in other countries like India, Japan, and many countries within Africa that don’t have a pool of audiologists or the capital to afford hearing aids and bundled services. The best answer seemed to come from Brent Edwards, CTO of Earlens Corporation. Ignoring the pricing argument altogether, he believes the big opportunity is the untapped market of younger (30s/40s/50s) people with mild hearing loss who currently reject hearing aids. While moderate, severe, and profound hearing loss are better served in the traditional channel, it could be true that new competition may increase the adoption rate of young people. And that’s a good thing. How would OTC affect current products? or industry business models? As of right now, this question is strictly conjecture. We have little to no data (since OTC hearing aids do not exist as a category in the U.S.) about the actual affect. It could be good, it could be bad. It’s all just a guess at this point. Note: After publishing this article we were alerted to a study in the American Journal of Audiology called The Effects of Service-Delivery Model and Purchase Price on Hearing-Aid Outcomes in Older Adults: A Randomized Double-Blind Placebo-Controlled Clinical Trial, which discusses the possible outcomes of OTC hearing aids. Mr. Metzdorff sited some data outside the US that indicated deregulation in Japan had led to lower market penetration and lower customer satisfaction. The OTC category may have no impact on medical side of the industry. Taking customer satisfaction into account, the existing model of counseling, recommendations, and advice from a licensed professional are key. Unbundling and allowing the consumer to stop by Wal-mart or Walgreens and pick up a hearing aid, may have the reverse affect (as seen in Japan). Mr. Basseas doesn’t agree. He believes with a new OTC category people won’t have to “admit they have a problem” to someone, they could just try an OTC hearing aid on their own. He went on to mention something that many current audiologists are clinging to: OTC hearing aids will likely drive customers to the current channel as they become aware of their problems and more comfortable seeking out help. Patient gets a hearing evaluation by a licensed professional. Patient discusses hearing device options with said licensed professional. Patient chooses a bundled service for the life of the hearing device. 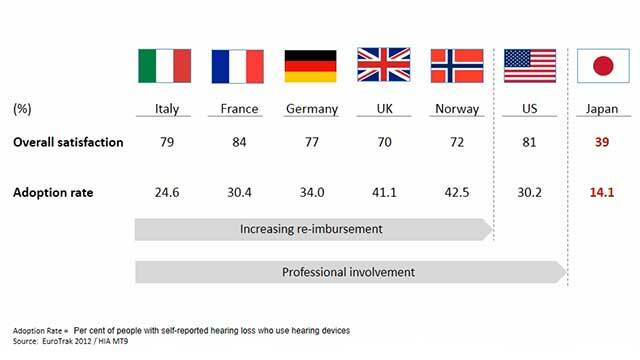 In the past decade approximately 20% of audiologists and dispensers have begun to alter step 3 above by unbundling the hearing device cost from the cost of the professional services. In addition, other hearing technology such as PSAPs, and potentially OTC hearing aids may skip the steps above entirely. Below we’ll discuss if that is a trend that should continue, or if there are even better options for the patient going forward. Will OTC hearing aids address issues of typical healthcare innovations? Rupa Balachandran, Ph.D., Audiology Program Director at University of the Pacific, qualified this question with 3 simple criteria (along with her opinions of each). Patient satisfaction. Unknown if OTC will address. Reduced cost. OTC may address. Improved overall health outcomes. Unlikely OTC will address. According to Ms. Balachandran, communication with audiologists is the ONLY way to achieve all three of the above requirements. We’d posit that there is a 4th criteria, one that Mr. Basseas previously addressed: access. A new OTC hearing aid category may greatly improve access for those people with mild hearing loss. What immediate challenges will OTC hearing aids have? The greatest challenge of an OTC device may be comfort of a non customized device being worn 12-16 hours a day. When a hearing aid is fit by a professional, there is a lot of thought and energy put into how the hearing aid actually fits the individual’s ear. Even if a custom impression is not taken of the ear, and a dome is used, the size of the dome, as well as the length of the receiver wire is chosen with care. Then, if a dome is not proving adequate for comfort and retention, modifications and further customization will be made by the professional to get it right. If an OTC hearing aid is chosen by an untrained consumer, and they are left choosing between 3 or 4 difference tip sizes and no other customization option, the likelihood that they will be comfortable wearing that device for 12-16 hours a day is very small. The 2nd greatest challenge of OTC device may be repair/warranty. Again, with the expertise of a professional, a hearing aid problem can usually be troubleshooted in the office so the patient is leaving the office with a working device. Or, if the device needs to be sent back to the manufacturer for a repair, the professional takes care of this transaction and can even provide the patient with some programmed loaner devices while they wait for the repair to return. With an OTC device, the consumer will be left not knowing how to troubleshoot these problems and will likely end up giving up on wearing them altogether or will spend more money on a new device unnecessarily. Will OTC hearing aids have an impact on the current bundling model? or is the industry already challenging this model? Bundled pricing has existed since 1977, according to Kim Cavitt, Au.D., President of Audiology Resources, Inc. But as she also points out, audiologists and dispensers have done a fairly poor job of informing the patient to what bundling actually includes. 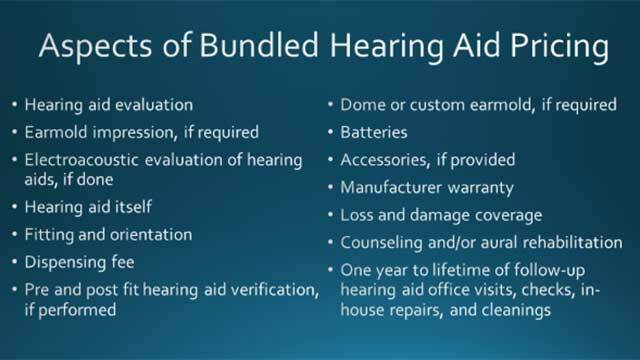 Take a look at the table below for an idea of what is traditionally bundled into the cost of a hearing aid. We’ve spoken to a lot of audiologists and most are still vehemently against unbundling because of one primary factor: patient satisfaction. The worry is that if a consumer is given the option of a lower unbundled cost, or a higher bundled cost, they may not be as qualified as the audiologist to determine the best long term hearing care plan. This may lead to “micro transactions,” or complaints that every visit to the audiologist will be billed and they avoid returning when needed. So, while the goal is to lower costs as much as possible for patients, the goal is also to establish a good patient-doctor relationship, which many believe the additional transactions of unbundling will inhibit. Unfortunately, as Ms. Cavitt points out we have very little data on unbundling to date, but she estimates 20-30% of practices are moving in (or trying) this direction. What are the real price implications of bundling services? Lucille Beck, Ph.D., Deputy Chief Patient Care Service Officer for Rehabilitation and Prosthetic Services, Department of Veteran Affairs (VA) (which is officially the longest job title I’ve ever seen), offered a very interesting fact to start this conversation. In 2016 the VA purchased 706,000 hearing aids, with a return for credit rate under 3%. This statistic is pretty astonishing, considering the market return rate is somewhere in the range of 12-20% (this is based on empirical evidence, and we can’t actually point to a specific study citing this fact). Ms. Beck went on to point out that by the time a veteran comes to the VA they are aware of their hearing loss issue and seeking hearing aids. That last statement can’t be said enough. VA patients are aware of their hearing loss and seeking hearing aids. In the private sector, many audiologists will have multiple visits with a single patient to convince them of their need for hearing aids. There is another implication of the private sector that Ms. Cavitt quickly points out. The independent practitioner does not get to pay what Costco or the VA pay for hearing aids. They pay a lot more. How much more? That’s difficult to quantify. According to Mr. Davis the average price from Sivantos for a private practice is under $700 per hearing aid, while some audiologists have told us they believe they are paying 3-4 times what the VA or Costco pay. Gary Swearingen, Corporate Counsel at Costco provided the following chart that shows how much Costco hearing aids cost today versus the past. 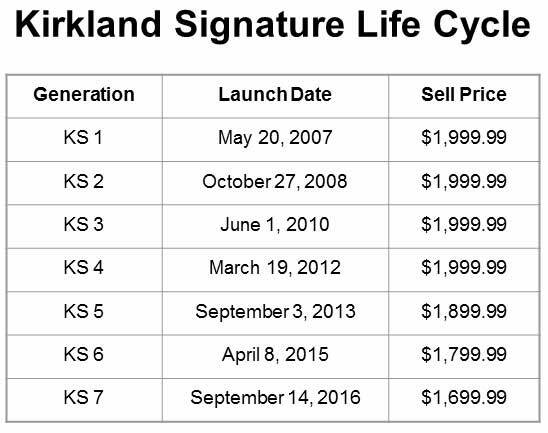 As you can see the $1699.99 price tag for the latest Kirkland Series hearing aids (pair) is $600 cheaper than the average market cost of a pair of hearing aids. Ultimately they’ve taken a lot of cost out of the system and are more productive than independent practices. Mr. Davis goes on to say that he believes we should be looking at improving pricing outside of bundling/unbundling. However, from the audiologist point of view, Ms. Beck makes a wonderful point when she asks if unbundling the manufacturer’s cost is possible (i.e. financing, services, marketing, etc.). The truth is that smaller private practices are a lot more efficient than multi-billion dollar companies. Just as the consumer has a good point about some services being built into hearing aid bundles that they don’t use, the audiologist also stands on firm ground when saying there are costs built into the wholesale price of a hearing aid that include services they may never use (or need). But if either audiologists or manufacturers unbundle, the consumer and audiologist must now understand nothing is free. And that may be a case of one step forward two steps back in the realm of affordability. Regardless of all the talk about bundling or unbundling, private practices may need to move back to “care” instead of “sales”, but again in this world nothing would be free. What is the trend of practices and their integration with manufacturers? Many audiologists I’ve spoken to are concerned there is a strong trend of manufacturers purchasing private practices or large retail chains so that they are better positioned to go direct to consumer. The table below provides a breakdown of the market share as of September 2016. 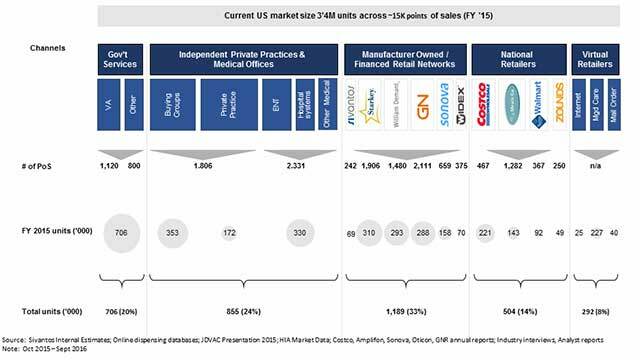 As you can see, the big 6 hearing aid manufacturers control 33% of the market via retail networks. However, as Mr. Davis points out, only ~16% of those are actually owned by manufacturers, while 8-9% are small businesses financed via manufacturers and 8-9% are affiliated with specific manufacturers. As with any market, there is always a concern that large corporations have too much control. Impact of integration on retail vendor to recommend a new category of products (i.e. OTC)? This question by the FTC essentially asks whether the hearing aid manufacturers may steer a large segment of the market (via their 33% ownership discussed above) away from OTC hearing aids. 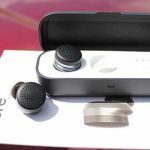 Without providing any examples, he also goes on to mention that “many manufacturers are working with hearable companies to provide ‘holistic’ solutions. However, with a little bit of research it was easy to find that Starkey is working with Bragi, Oticon with Sennheiser, and ReSound with Jabra. All of these companies are working on hearables that may be able to house hearing aid technology at a more affordable rate. 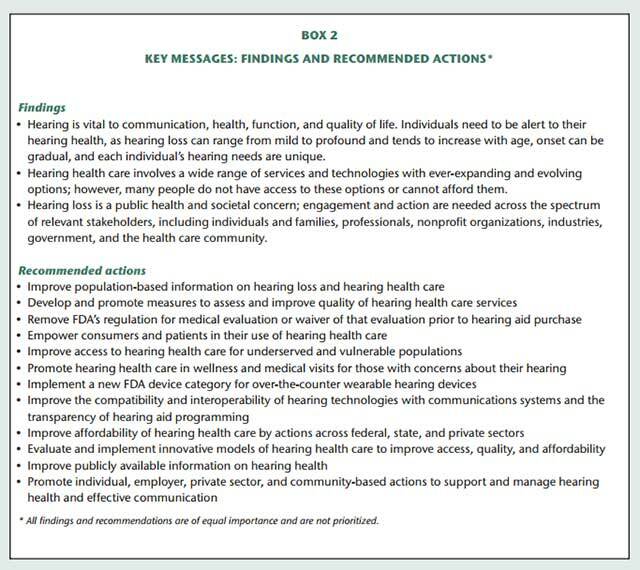 There is a huge unmet demand for hearing healthcare. What progress are we making in current models? In 2014 Hearing Health Matters conducted a market penetration study (see table below) that showed somewhere between a 21% and 24% hearing aid penetration. Sales have increased at approximately 7-10% since, which suggests a higher penetration rate as of 2017. Some people have estimated somewhere between 28% and 30% in the United States, but we don’t have any reports to confirm that data. The question still stands, is the current model working? Ms. Balachandran was quick to point out that the first point of contact is still a primary care doctor for 80% of people. Meaning, if most people have a hearing related issue, they will consult their primary care physician. So, audiologists need to ensure they are communicating with local doctors to ensure patients have a place to go when in need. If patients go to a primary care doctor, and the primary care doesn’t know what to do, that stops the process of even starting. As technology continues to improve, Mr. Davis points out that teleaudiology and remote fittings will be a major player in the market and we’re already seeing it in hearing aid adjustments. So, ultimately it’s difficult to answer in full if the current model is working, but the market appears to be dictating a more “on demand” style service, where remote fittings may eventually become remote evaluations and more as 3D printing technologies increase as well. Is there a place for hearing apps? 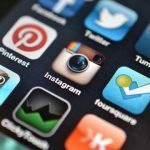 We’ve talked about hearing apps in great detail, mostly because smartphone application and integration is going to be an absolute must going forward. Mr. Davis mentioned that Consumer Reports and the HLAA are helping with hearing app evaluations by showing which ones can be trusted, but I’m not sure that’s entirely true. At least, I couldn’t find any evidence of this. The HLAA does have a report from October 2015 regarding hearing device applications, but nothing more recent. And the only thing I could find on Consumer Reports was information for the best hearing aids and PSAPs. Everyday Hearing has the most comprehensive list of phone applications related to hearing conditions and will continue to update it, as we believe this is the future (or at least a big part of it). Mr. Davis does correctly point out that one of the biggest problems with hearing evaluation applications is proper calibration, otherwise it defaults to a hearing screening and not a true hearing evaluation. However, companies like iHear Medical are offering FDA approved in-home hearing test solutions. We’ve already talked about costs and benefits of hearing devices, but what about the regulations themselves? Do they also have cost implications? This answer is overwhelmingly, yes. Richard Cleland, Assistant Director of Division of Advertising Practices at the FTC clarifies that currently advertising for PSAPs and hearing aids are regulated the exact same. Since the FDA doesn’t regulate PSAPs, labeling falls to FTC. This is something that seemed to throw many of the panelists for a loop, and repeatedly questioned whether this is true because it has major implications going forward on how consumers are alerted to what a product does versus what a product is. Rick Giles, President of the International Hearing Society pointed out that PSAPs are already being advertised as hearing aids on Amazon. However, he didn’t give any examples, so we looked into it, and here’s what we found. Technically speaking as Frank Lin, M.D. of John Hopkins University pointed out, hearing aid sales online have a rather blurry designation. Federally, they are neither permitted, or restricted. Meaning, the FDA doesn’t specifically state that online hearing aid sales are permissible, but they also don’t say they are impermissible. The result is that regulations are left to the state, making internet commerce very tricky for attempting to sell hearing aids online. 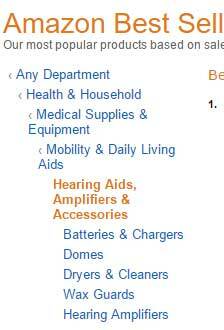 With that said, we were surprised to find a “hearing aid” category on Amazon. Scrolling through the results we couldn’t find any PSAPs specifically listed as “hearing aids.” They were almost exclusively labeled “hearing amplifiers,” “sound amplifiers,” or “hearing devices.” It’s not as cut and dry as that though. Take the iHEAR MAX high definition hearing device. Nowhere in the product description do they call the device a hearing aid. 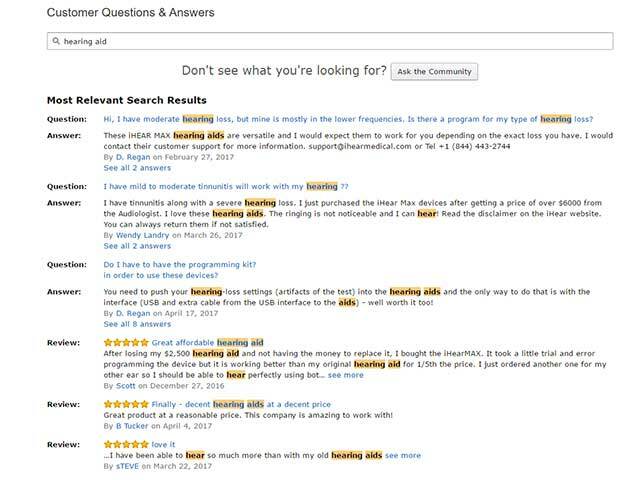 But if you scroll down to the reviews, or the Q&A, you’ll notice the distinction begins to blur as many people are asking questions about this “hearing aid.” Check this out. As you can see the distinction between what is and isn’t a hearing aid suddenly starts to blur online. Yes, yes, and yes. And based on the information above, the first place to start would be Amazon. Consumers need to know the difference between a medical device approved by the FDA (i.e. hearing aids) and a non-medical device registered with the FDA( i.e. PSAPs). A distinction with a major difference. In his opinion the CTA, which already plays a role in writing standards for things like closed captioning and PSAPs (reference ANSI CTA 2051), has the ability to play a major role in helping with standards and requirements for a new category of OTC hearing aids. When asked about how a new standard would help consumers Mr. Belt seemed to contradict himself. Early in the conversation he mentioned that consumers know nothing about standards and don’t care about them, but later on recommended that the next step would be to create a seal of approval/logo for OTC and companies that certify to meet the CTA standard would get to use the logo. But if consumers don’t care, then how does the logo/seal help? Ultimately Mr. Giles pointed out that a consumer may be better off purchasing a medical hearing device from a licensed professional that is monitored by the FDA instead of by reading a label on a product, and I tend to agree. While we’ve voiced our opinion for an OTC hearing aid category, it’s going to be difficult to ensure consumers are getting the right product and understanding the distinction between medical and non-medical devices. What are the most important state regulation issues? As we mentioned above, state regulations are what currently regulate the sale of hearing aids, and ultimately what restrict them as well. Pretty much every panelist was in agreement that a consistent licensing law must be in place in each state. Ian Windmill, Ph.D., President of the American Academy of Audiology also mentioned that inconsistency across state lines is an issue. In 40 states there are licensing laws that an audiologist can dispense under a single license, but in 10 states a dual license is required. Ultimately displaying that the portability of license is a barrier to the future of telehealth. With the potential for new hearing device categories, what it comes down to, as Dr. Windmill puts it, is should we regulate the device or the individual who sells the device? Or both? Likely impact of new OTC category of hearing aids? It seems like hearing healthcare in 2017 is revolving around the idea of an OTC category, and we’ve been addressing that at every turn thus far. But now we finally get to the actual question of what the potential impact of this new category is. One of the most poignant speakers, Dr. Lin, believes there is a low uptake of hearing tech generally across the board. With a hearing aid market penetration of less than 30% in the U.S. and a generally hesitant public perception of hearables, Dr. Lin may be correct. And Dr. Lin believes that a new category of OTC hearing aids has the potential to lower all 4 barriers. He also touched on an important point that we brought up earlier. This OTC model isn’t currently working in Asia. But, according to Dr. Lin, the OTC model fails in Asia because of culture, lack of audiologists, and lack of regulation. So, it’s not directly comparable to what would happen in U.S.
On the other hand Mr. Giles is concerned more about the consumer’s ability to correctly diagnose hearing loss. There is a difference between knowing you have hearing loss, and knowing what type of hearing loss or what device you need. 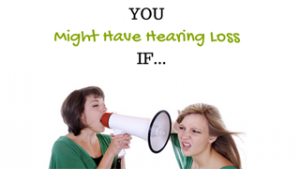 “There is no way for a consumer to say if they have a mild/moderate hearing loss without an evaluation, period. These are specific audiometric deviations that come from an audiogram reading,” said Dr. Windmill. So, if there is going to be an OTC category, audiologists and really the FDA and FTC will need methods for consumers to select the right category. Would children be treated different than adults in an OTC category? Pediatric hearing loss is completely different than age related hearing loss. There are issues in children that need to be evaluated on a different level than adults. But as Dr. Windmill points out, there will be people for financial reasons, that will use this technology regardless of regulation/standard. Glasses are often compared to hearing aids, what can we learn from how glasses are regulated? Once and for all, let’s put this terrible comparison to rest. Glasses are nothing like hearing aids. “Cognitive and cortical assessments must be made with hearing aids, and not with glasses,” said Dr. Windmill. In order to inform consumers, we first have to know who the consumer is. Enter Lisa McGiffert, Director of the Safe Patient Project at the Consumers Union. They surveyed 130,000 consumers and found 20,000 had purchased hearing aids. Of the remaining 110,000, those with hearing loss (but no hearing aid) were asked why they hadn’t taken the next step. Carole Rogin, President of the Better Hearing Institute, confirmed Ms. McGiffert’s survey results with a Market Trak survey. It was a demographically balanced segment that has been ongoing every 4 to 5 years for the past 35 years. One thing has remained constant: cost has not been the top issue. Stephanie Czuhajewski, Executive Director of the Academy of Doctors of Audiology was on the other side of the table. She said, “cost is an irrefutable barrier to care.” But it’s not just cost that Ms. Czuhajewski believes is a major impediment, but stigma. What is the role of audiologists and dispensers? Audiologists and dispensers are responsible for 90% of hearing aid sales/fittings in the U.S.
There’s been a growing debate about the difference between audiologists and dispensers as the haring instrument specialist career path has grown. Ms. Czuhajewski believes consumers need to understand that hearing aid dispensers are more focused on the hearing device itself, while audiologists have a longer role on that continuum (i.e. rehabilitative services, assessments, etc.). Barbara Kelley, Executive Director of Hearing Loss Association of America would like to see audiologists forming relationships with primary care doctors because all too often general physicians don’t know how to deal with hearing loss. This results in things like doctors telling patients “it just comes with aging,” and providing no substantive answer instead of referring them to an audiologist for evaluation. The industry as a whole hasn’t done a good job of informing potential patients the different ways hearing aids are dispensed. For example, in a Consumer’s Union study of the 20,000 individuals with hearing aids, when asked if they saw an audiologist, 87% responded that they have. However, when the respondents were followed up with in more detail, over 50% turned out to be retail dispensers and not audiologists. Ms. Czuhajewski termed this “fraudiologist,” when a dispenser passes themselves off as a doctor of audiology when in fact they are not. How do consumers make informed decisions? For the most part they do the same thing as other medical issues. If you need a hip replacement you see 1-3 orthopedic professionals and then make a decision based on their recommendations. Unfortunately an OTC category of hearing aids may remove the professional opinion, and most of the above studies cited the single most important element of satisfaction is the hearing care professional. Ms. McGiffert noted that when it came to satisfaction, their survey results showed no significant difference in brand satisfaction. The difference came in the retailer services. It’s not to say that Phonak doesn’t have better rechargeable hearing aids, or Oticon doesn’t have a better wireless product, but that ultimately two patients seeing a well reputed audiologist would likely be just as happy with a Signia product as a ReSound. The service an audiologist provides is critical because there is detailed information (i.e. telecoils vs Bluetooth) that you don’t get from the manufacturer, and that consumers may not understand when buying over the counter. What other business practices (besides pricing) is confusing or problematic? Have the views toward hearing aids (i.e. stigma) changed over time? Since the 1970s studies have shown that people respond more negatively to photos of their peers wearing hearing aids, termed “the hearing aid effect.” The question is, has this changed? So, what are we to believe in 2017? Having not conducted any formal study of our own, we’ve yet to meet an audiologist that doesn’t believe a stigma still exists today. Lisa McGiffert suggested that perhaps marketing campaigns aimed at creating stigmas for not protecting your hearing should be the focus. 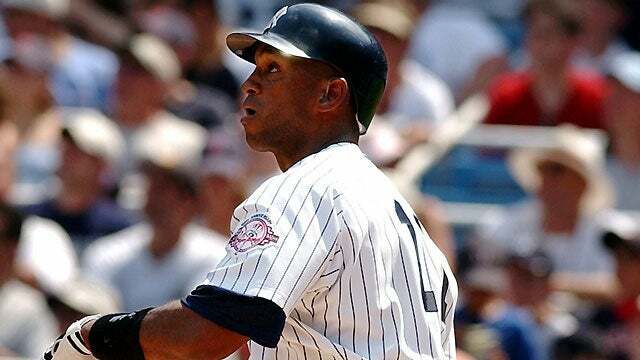 But ultimately, we believe K.R. Liu is right. Hearing aids are “as much a social innovation issue as a technology innovation issue.” Consumer electronics companies like Bose, Samsung, and Bragi seem to understand this. The only question is will hearing aid manufacturers follow suit? 1. Practices that begin to incorporate consumer technology as part of services or solutions will be more sustainable and competitive. Wearables, hearables, smartphones, apps, other smart devices, and so on are all a part of everyday life. To ignore this is to ignore the patient. If you don’t agree that an OTC hearing aid, PSAP, or other hearable is the best option for your patient, that’s fine. But be knowledgeable about the changing technology and how traditional hearing aids integrate with them. 2. Teleaudiology and remote fittings will be a major player in the market and we’re already seeing it in hearing aid adjustments. Sit down with your staff, which may need to include your web designer or web marketer, and discuss whether or not this is something you can or should implement. 1. An OTC hearing aid category appears to be on the horizon. It’s difficult to say exactly when the legislation will pass, and then when it will be implemented, but it could happen as soon as October 1, 2017. 2. Regardless of how technology changes, the best thing you can do for your hearing is get evaluated by a licensed professional, and seek their input prior to making a decision. An OTC hearing aid may very well be the best option for your specific situation, but that opinion should come from an Audiologist with experience treating hearing loss, and not random research you’ve Googled online. I believe one of the most uplifting statistics in this report is that the current system is effective in aiding people with hearing loss 80-90% of the time. The overwhelming majority of people with hearing aids are happy and seeing positive improvements in their life. However, there is always room to improve. Right now the market appears to be demanding better seamless integration with wireless technology, and more affordable pricing. Solutions to these issues are coming from both traditional hearing aid streams, as well as consumer electronics, and this is something that should be exciting hearing healthcare professionals.